"There’s a million breaks, but it’s all just how you set your little goal … and conquer that goal, then conquer the next goal." 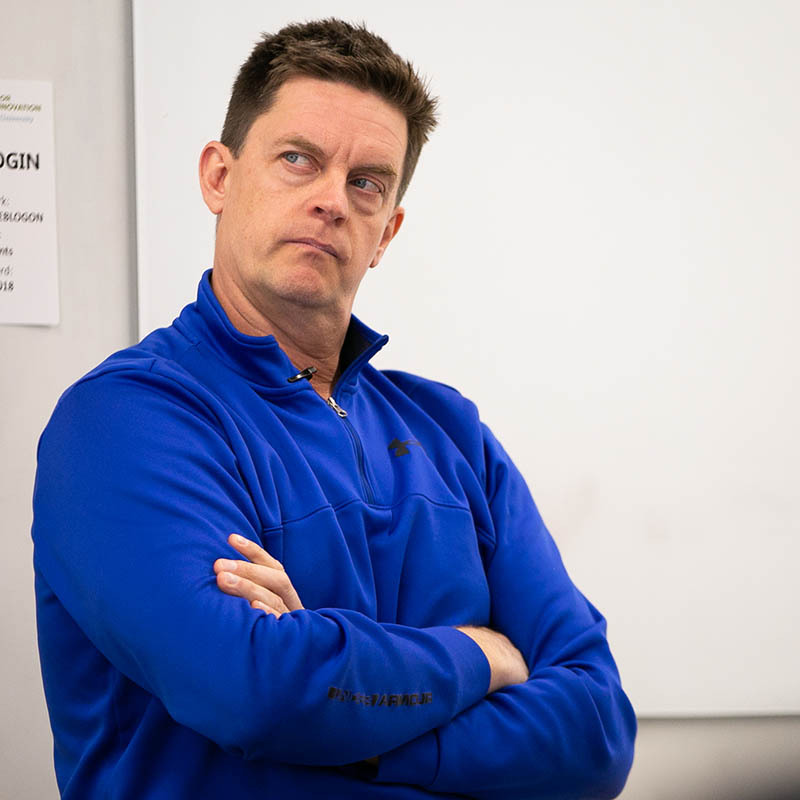 Jim Breuer, a former Saturday Night Live cast member who is now one of the most popular stand-up comics in the United States, stopped by the Center for Media Innovation to host a Q&A with Point Park University students Oct. 19. 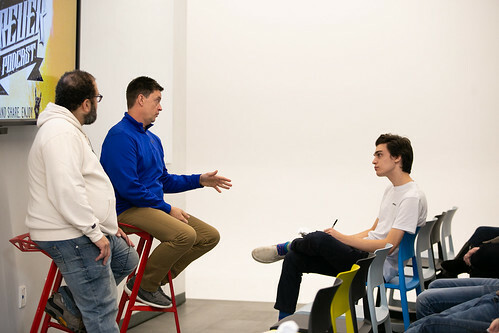 “There’s a million breaks, but it’s all just how you set your little goal … and conquer that goal, then conquer the next goal,” Breuer told the students. Eventually, his wife told him he should walk away from his career, because he was unhappy and she didn’t like who he was becoming. After taking some time off to raise his daughters and take care of his parents, he successfully returned to stand-up comedy more than 10 years ago.